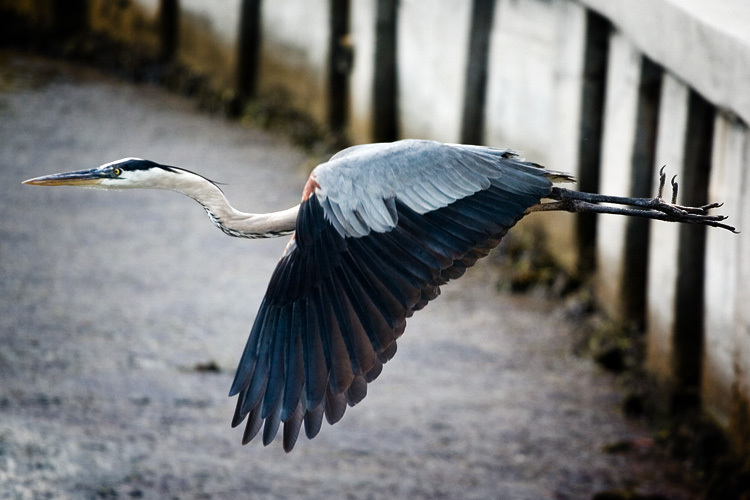 great blue herons hardly ever fly with their necks extended. i caught this guy at take-off just as he was starting to fold it up. check out this shot from miles.